As an architect, you are constantly looking for new ways to improve your projects. Being new and innovative solutions, cost-effectiveness, workability, sustainable and environmentally friendly solutions, regardless of whether you like it or not, the global demand makes it necessary. 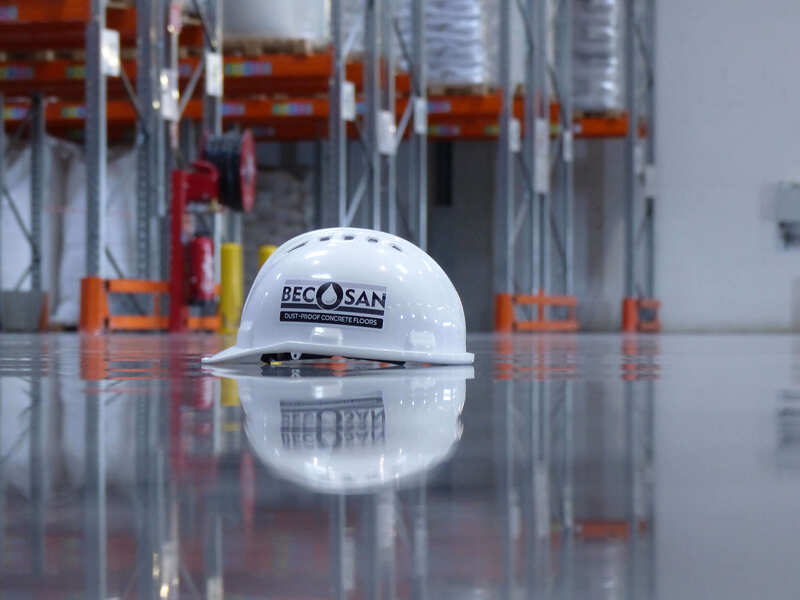 We are pleased to introduce you into the world of BECOSAN®, which combines all the above-mentioned requirements for the treatment of industrial floors. High gloss, an extremely clean surfaces, an unbeatable durability and a dust-free atmosphere. Probably you are already familiar with polished concrete or have even considered it for one of your projects. The smooth look of a beautiful and shiny surface has certainly gained your attention. You might have had to reject this idea due to economic reasons, or because the budget assigned to you by your customer was limited to a low-cost solution. It may be a very good moment to reconsider your business activities. 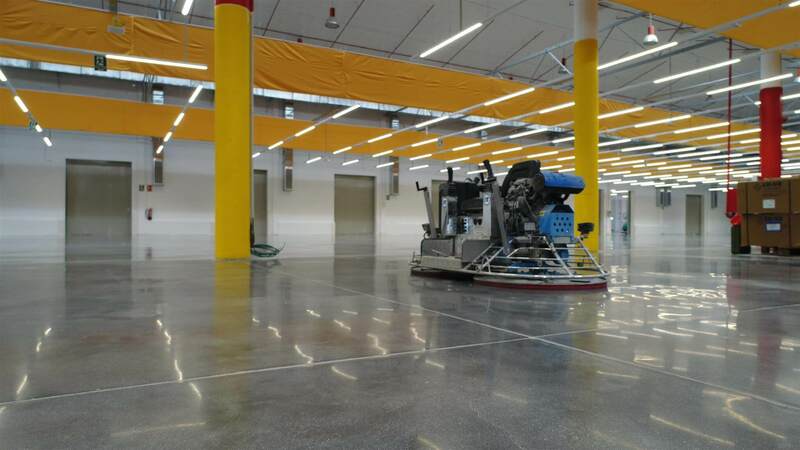 With BECOSAN® you are able to treat industrial concrete floors with a cost efficiency never seen before and in a very simple process. Fantastic aesthetics is the result at first sight. One of the major advantages of this result is that the concrete floor is very easy to maintain and extremely abrasion-resistant. BECOSAN® creates a completely dust proof concrete floor – a great contribution to a healthier and safer working environment. In respect with the application costs, you may be aware that conventional grinding and polishing of concrete surfaces is very expensive. Usually the price persquare meter surpasses the economic budget available to architects and contractors. With BECOSAN®, you are able to execute the complete treatment at a much lower price than a floor coating like epoxy (depending on the size of the area to be treated). It consists of grinding, polishing, densifying and dust proofing with BECOSAN® Densifier. Finally, the surface is sealed with BECOSAN® Protective Sealer to protect the surface from water, oil and grease stains. In this way you create a hard, abrasion-resistant and easy-to-clean floor. The BECOSAN® system penetrates deep into the core of the concrete and binds the calcium particles. Expensive re-applications belong to the past. 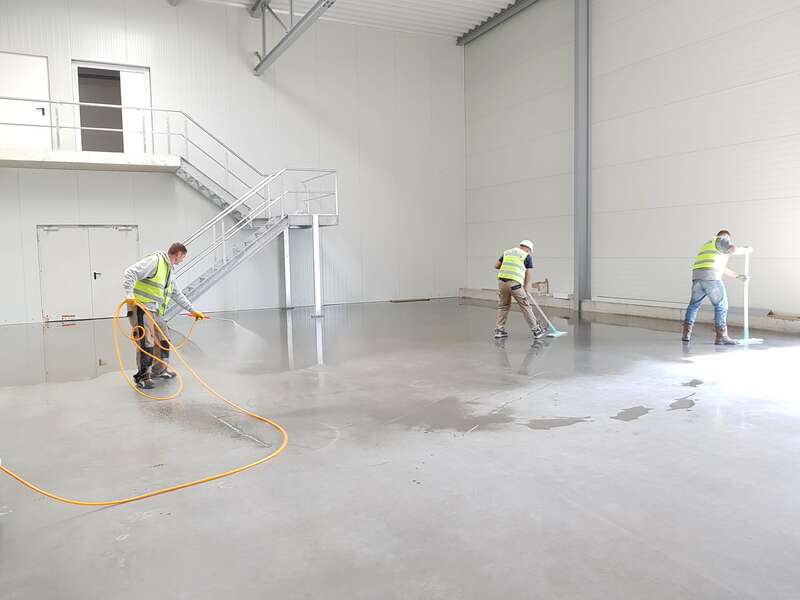 In a few words: with BECOSAN® your industrial concrete floor has an unbeatable durability, is completely dust-free, very easy to clean and has a beautiful glossy appearance. BECOSAN® is water-based and environmentally friendly.